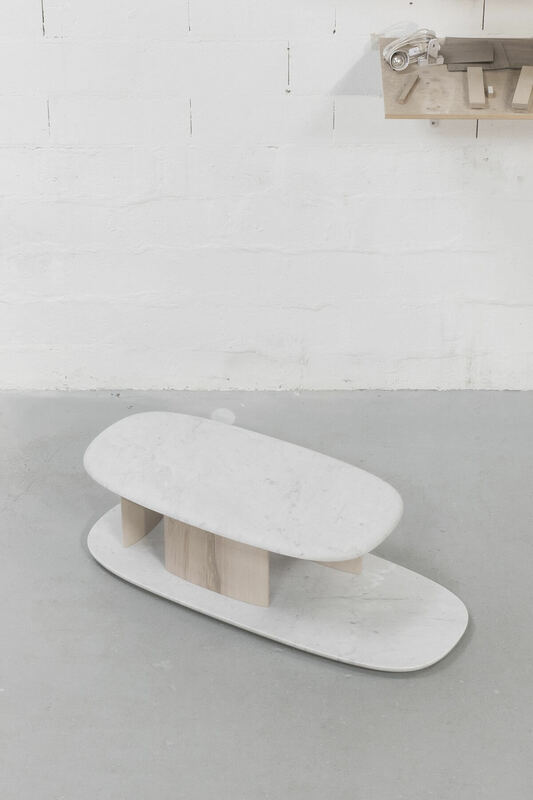 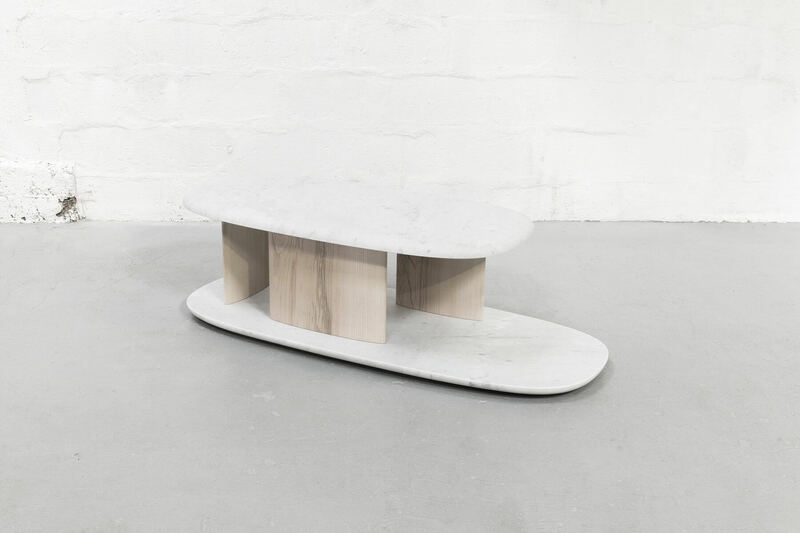 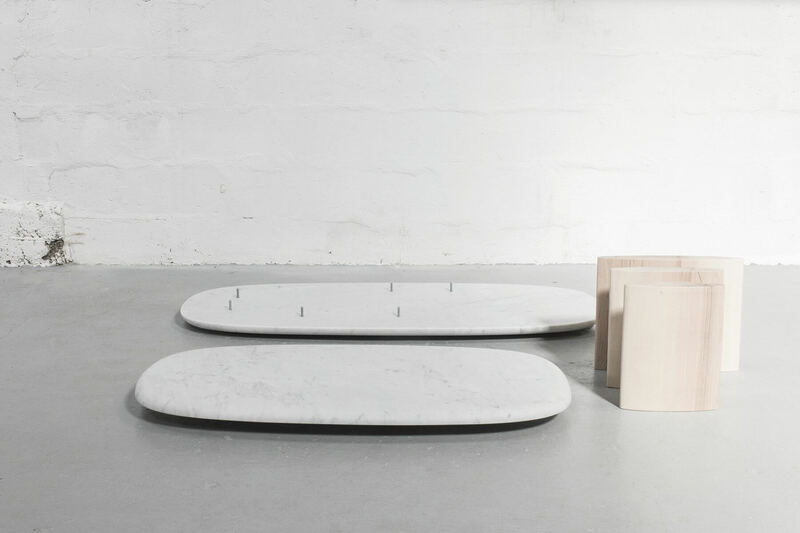 The coffee table “Plug” retakes the fixing system of surfboards’ fins. 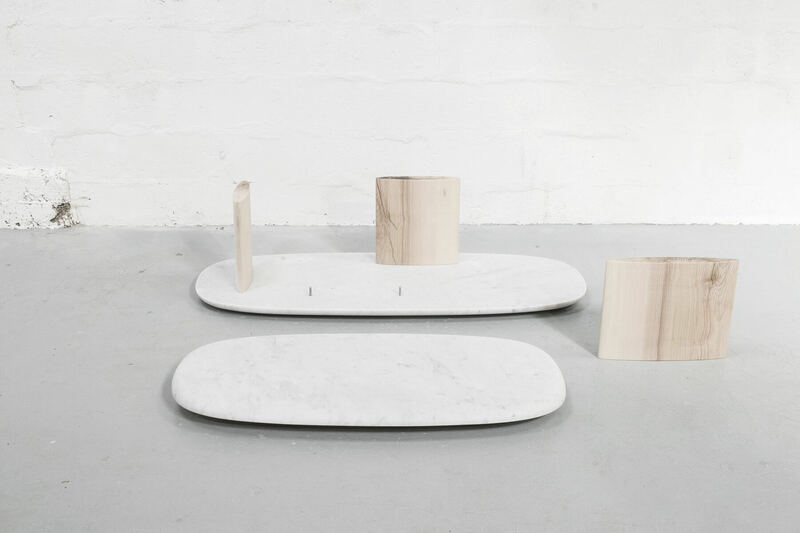 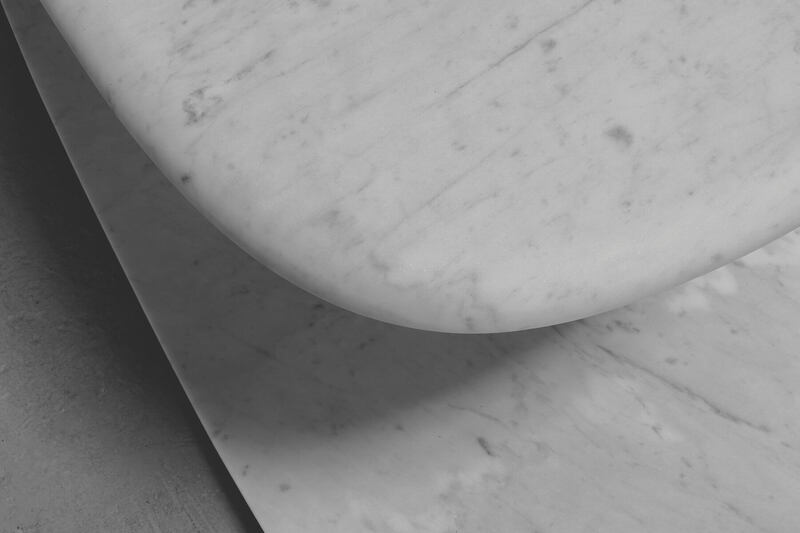 Thanks to it, the three raw wooden feet interlock easily on the marble platters. 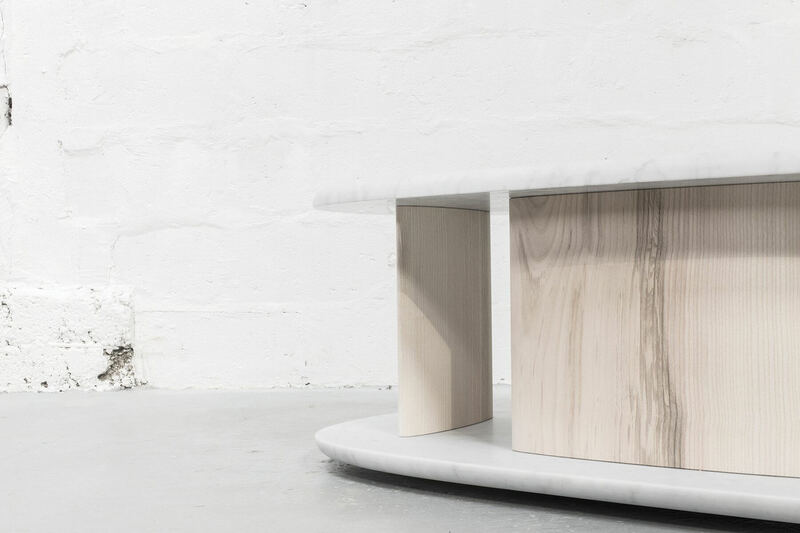 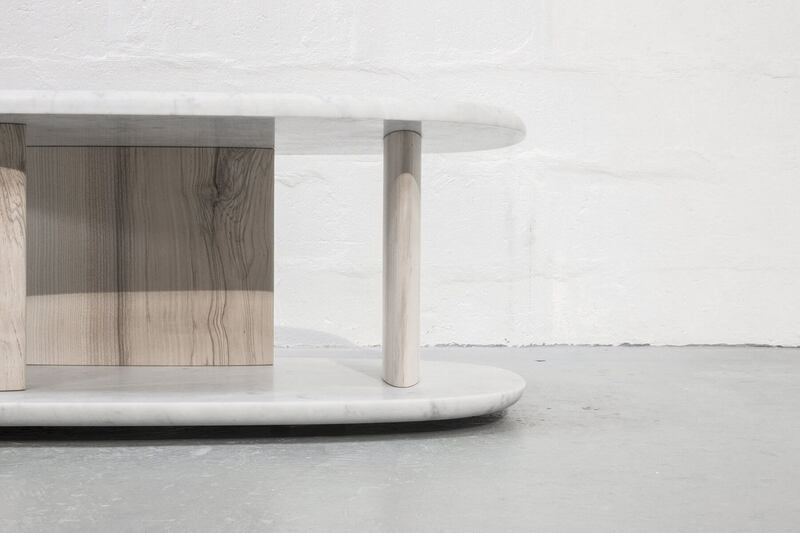 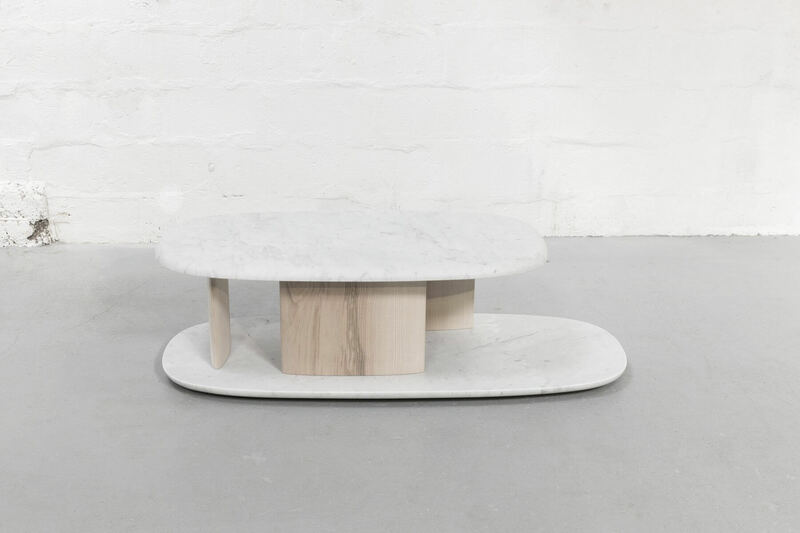 The ensemble forms then a coffee table, the area under the platter serves as a storage space.